When Veronica Rivera-Santiago’s daughter, Melanie, was born she had no idea of the complicated medical path that lied ahead. Their newborn wasn’t able to eat, and when a nurse stuck her pinky in Melanie’s mouth, she felt the opening on her palate. Doctors explained that Melanie’s condition, a cleft palate, is formed when the tissue that makes up the roof of the mouth doesn’t join together during pregnancy. Children born with cleft lips and palates often have associated problems ­– it can be difficult to speak clearly and they can be prone to chronic ear infections. Dental, hearing and breathing problems may also exist. With all these potential complications in mind, Veronica was understandably worried, but the team of doctors and nurses in the Neonatal Intensive Care Unit (NICU) at St. Christopher’s Hospital for Children reassured her that this was something they would be able to fix. “Everybody was great at explaining what she had and what was going to end up happening in the future,” she said. They walked her through each step and told her how many surgeries Melanie would need and familiarized her with each team in the specialty center who would be working with Melanie. She says that person-to-person care from the staff at St. Christopher’s Hospital for Children eased her anxieties. The doctor told her that Melanie just needed to grow more and once she was healthier and gained more weight, she would be strong enough to handle the surgeries that would make her better. From the very beginning, each of the doctors and specialists explained all of Melanie’s options clearly and thoroughly. 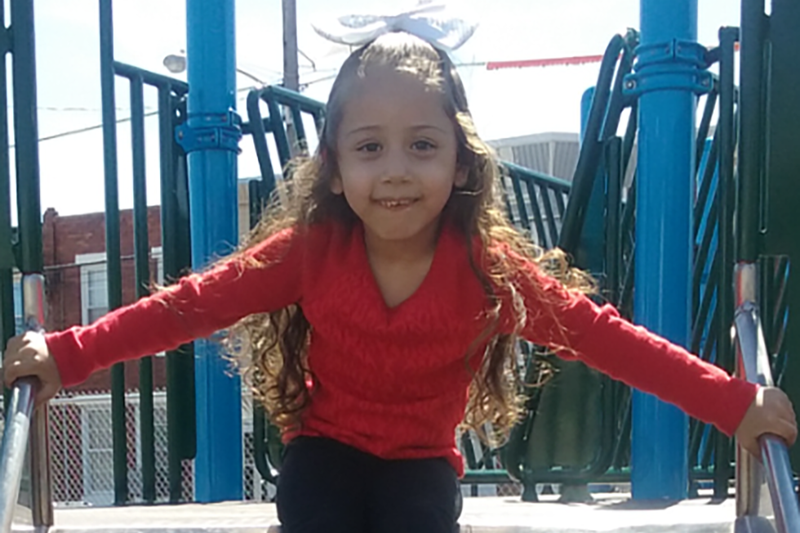 They said that the long-term condition would require multiple surgeries and broke down Melanie’s tests results into simple, comprehensible terms and helped Veronica understand everything, which made her daughter’s condition seem a lot less frightening. Melanie will be four this month, and Veronica says she’s doing very well and continues her follow up care at St. Christopher’s Next Steps Program. The Next Steps Program serves as a bridge until an infant is ready to be cared for by a general pediatrician, one of the first NICU follow-up primary care clinics in the region. With their guidance, comfort and in-house specialists who could meet most of Melanie’s needs, Veronica was able to learn proper techniques that would help her daughter through surgeries, rehabilitation and be prepared for any emergencies that may be associated with her condition. “Everyone at St. Christopher’s has been excellent. I really wouldn’t know what I would do without them, and I’m very thankful,” she says. For more information about St. Christopher’s Hospital for Children visit them online.